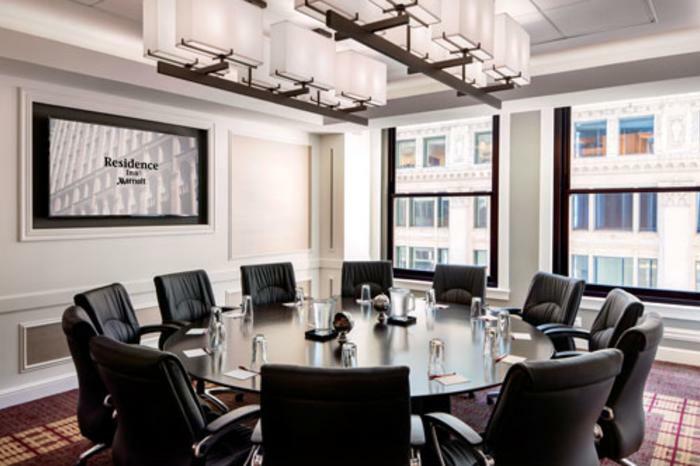 Plan to hold your next meeting at a hotel in the heart of Chicago. Put your attendees in the middle of it all—iconic Chicago attractions, tours, museums, restaurants and nightlife—with these centrally located Loop accommodations that range from boutique to big hotels. On-site meetings are made easy by the ample space and endless options offered at these properties. Guests enjoy world-class amenities and service while overlooking Grant and Millennium parks at this 687-room property just steps from Navy Pier, The Magnificent Mile and the Loop Theatre District. The Four-Diamond Fairmont boasts 15 meeting rooms that can accommodate groups of 20 to 2,000, while their exclusive green conference planning program—Eco-Meet—ensures a reduced environmental impact. Give attendees a first-class downtown experience with this 18-floor, 206-room property. Hyatt Place has three meeting rooms to choose from (accommodating up to 50 classroom-style), along with convenient walkability to some of the city&apos;s finest restaurants and sights. 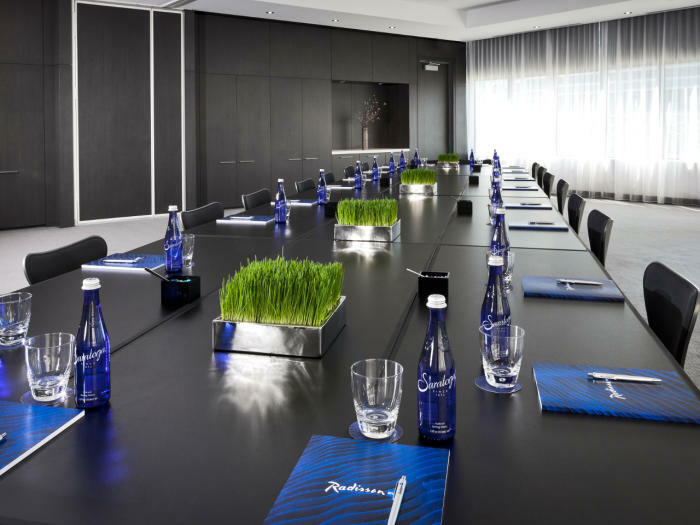 Industry conferences, corporate events and social gatherings feel right at home in the sleek Radisson Blu Aqua&apos;s flexible meeting and event space that spans two floors, 13 meeting rooms and more than 28,000 square feet (including a 7,000-square-foot outdoor area). The standout Atlantic Ballroom features floor-to-ceiling windows with dramatic city views, accommodating up to 1,650 guests reception-style or 588 for a seated dinner. Sophisticated and upscale, this downtown Chicago hotel rests on the northern edge of the historic Loop and delivers stunning views, stylish rooms, spacious suites and a trendy nightlife scene. Choose from 20 event rooms (the Grand Ballroom seats 1,000) and 24 breakout rooms, totaling more than 35,000 square feet of meeting and event space. First-class, boutique-style suites await at this Loop property. Guests enjoy fully equipped kitchens and separate areas for living, working, dining and sleeping. Business gatherings and social events for up to 250 attendees can be accommodated in 13 event rooms, totaling more than 9,000 square feet of space. This chic boutique hotel located close to the Loop Financial District melds contemporary design with historic Chicago architecture. 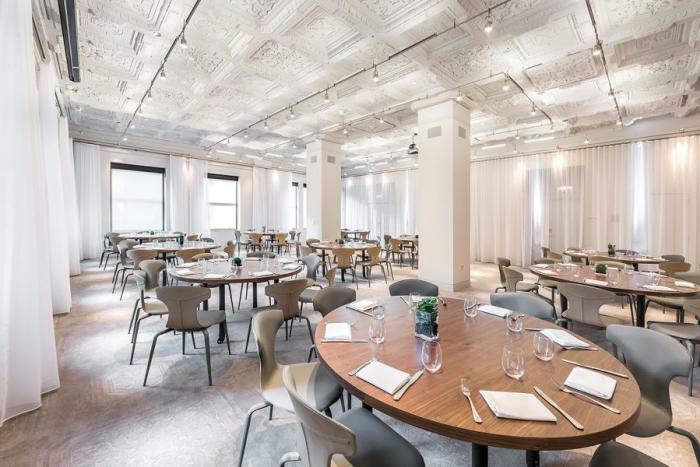 With 4,400 square feet of modern space, this luxury downtown hotel specializes in intimate corporate and association meetings, as well as product launches and sales meetings. Eight intelligently designed event and meeting spaces range from the industrial-style Manor for large groups to the intimate Founder&apos;s Room. Ask about the whimsical Funny Library and the 25th floor Upstairs (with an outdoor covered terrace) for fun, casual lunch or dinner meetings. The Virgin trademark ensures innovative technology and customization. Attendees have been known to swoon over their experiences at this Four-Diamond destination, just steps from Millennium Park, the Loop Theatre District and Museum Campus. Creative energy flows from the more than 7,000 square feet of meeting space, complemented by 16-foot ceilings and floor-to-ceiling windows. Be sure to check out the stunning rooftop ROOF lounge, open year round. Set in Chicago’s Loop Financial District, W Chicago – City Center recently unveiled the first phase of its reinvention. 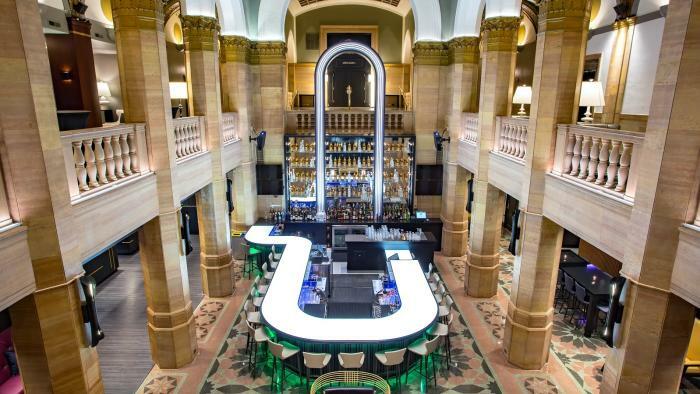 The hotel has revamped its dramatic Beaux Arts-style lobby and unveiled a new restaurant called Midland Social Club, featuring works of graffiti by local Chicago artists. W Chicago features more than 14,000 square feet of modern meeting and event space, accommodating up to 350 attendees. Located at the confluence of the Chicago River and North Michigan Avenue, the Wyndham Grand Chicago Riverfront offers more than 16,000 square feet of flexible meeting space for groups ranging from 10 to 500. 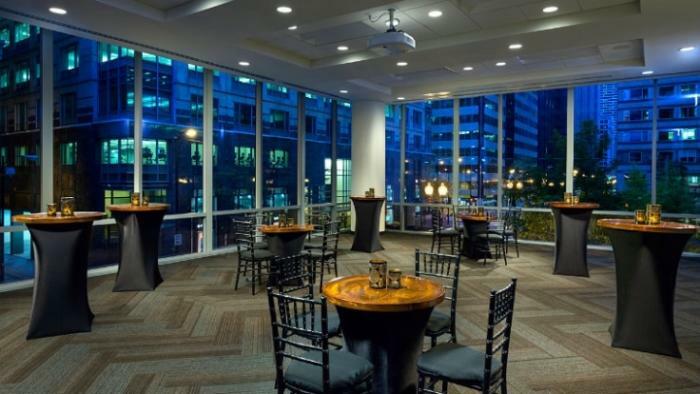 The 39th floor Penthouse Ballroom features floor-to-ceiling windows with panoramic city views, accommodating 250 guests for a cocktail reception.